Gaupp, C., Caliz, S., Haussmann, P.-O., Wirnsperger, F., Möller, K., Der Lernende im Mittelpunkt – die Hilti Finance Academy. Wie die Ambition des Finance Business Partnerings Realität werden kann, in: Controlling 30. Jg. (2018), H. 2, S. 45-51. Möller, K., Pieper, S., Wirnsperger, F., Selbststeuerung auf Mitarbeiterebene, in: Controlling, Sonderausgabe September 2017 (Die Zukunft des Controllers), S. 36-41. Möller, K., Wirksame finanzielle Führung - Vom Abweichungs-Controlling zum Integrated Performance Management, in: Expert Focus, 91. Jg. (2017), H. 10, S. 689-693. Möller, K., Seefried, J., Wirnsperger, F., Wie Controller zu Business Partnern werden, in: Controlling & Management Review, H. 2 (2017), S. 64-67. Engelhardt, P., Möller, K., OKRs – Objectives and Key Results - Kritische Analyse eines neuen Managementtrends, in: Controlling 29. Jg. (2017), H. 2, S. 30-37. Isbruch, F., Renner, N., Möller, K., Berendes, K., Wunderlich, P., Treiberbasierte Planungs- und Simulationsmodelle im Controlling: Flexibles Planen und Steuern im dynamischen Umfeld, in: Controlling, 28. Jg. (2016), H. 12, S. 755-764. Wirnsperger, F., Möller, K., Transformation der Finanzfunktion bei Hilti - Zeitgemässes Performance Management als Befähiger für Business Partnering, in: CFO aktuell – Zeitschrift für Finance & Controlling, 10. Jg. (2016), H. 6, S. 135-139. Wirnsperger, F., Möller, K., Mehr Agilität durch Paradigmenwechsel in der Unternehmenssteuerung - Ein Erfahrungsbericht aus einem Kooperationsprojekt von Praxis und Wissenschaft, in: Horváth, P. /Michel, U. (Hrsg. ): Digital Controlling & Simple Finance, Stuttgart 2016, S. 101-112. Möller, K., Gackstatter, T., Wenig, P., Das St. Galler Performance Management Modell – Ein Steuerungssystem für den Aufsichtsrat, in: Board – Zeitschrift für Aufsichtsräte, 5. Jg. (2015), H. 5, S. 202-206. Möller, K., Pieper, S., Predictive Analytics im Controlling – Chancen für bessere Entscheidungen erkennen und nutzen, in: IM+io Fachzeitschrift für Innovation, Organisation und Management, (2015), H. 4, S. 40-45. Möller, K., Wirnsperger, F., Gackstatter, T., Aufsichtsrat und Performance Management, in: Board – Zeitschrift für Aufsichtsräte, 4. Jg. (2014), H. 4, S. 155-159. Möller, K., Müller-Stewens, B., Wirnsperger, F., Chancen und Risiken des Performance Managements aus Sicht des Verwaltungsrats, in: Der Schweizer Treuhänder, 88. Jg. (2014), H. 5, S. 435-440. Gackstatter, T., Wenig, P., Möller, K., Anwendungsstand eines zeitgemässen Performance Managements unter Aufsichts- und Verwaltungsräten, in: Heyd, R., Beyer, M. (Hrsg.) Corporate Governance in der Finanzwirtschaft, Berlin 2016, S. 211-229. Fischer, T., Möller, K., Schultze, W., Controlling – Grundlagen, Instrumente und Entwicklungsperspektiven, Stuttgart, 2. Aufl. 2015. Seefried, J., Wirnsperger, F, Schulte, J., Möller, K., Business Partnering durch individuelles Kompetenzmanagement – Ausgestaltung der Rolle des Performance Managements am Beispiel von Hilti, in: Controlling, 27. Jg. (2015), H. 10, S. 558-564. Möller, K., Wirnsperger, F., Gackstatter, T., Performance Management – Konzept, Erfahrungen und Ausgestaltung einer neuen Disziplin, in: Controlling, 27. Jg. (2015), H. 2, S. 74-80. Möller, K., Editorial zum Themenschwerpunkt Performance Management, in: Controlling, 27. Jg. (2015), H. 2, S. 71. 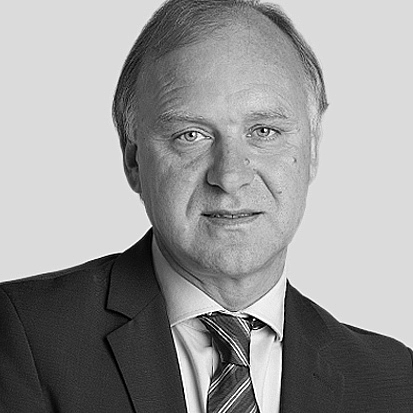 Klaus Möller is Professor of Controlling/Performance Management and Executive Director of the Institute for Accounting, Control and Auditing at the University of St. Gallen. He is Associate Editor of the journals Controlling, Board, Die Unternehmung (Swiss journal of business and practice), board member of the International Group of Controlling (ICG). In 2016, he was appointed Honorary Professor in Management Accounting by the Institute for Management Accountants (IMA) in the U.S.
Before joining the University of St. Gallen, Klaus was Professor of Controlling at the University of Göttingen (2007 to 2011) and the Technical University of Munich (2006 to 2007). He declined calls from the Universities of Aachen, Braunschweig, Cottbus and Karlsruhe. From 1998 to 2005, he was a research assistant with Prof. Dr. Dr. h.c. mult. Péter Horváth at the Chair of Controlling, University of Stuttgart, where he received his Doctorate with distinction in 2002. Qualifying there as a Post Doc, as director, he established a private research institute with Prof. Horváth. Before that, he studied business administration and mechanical engineering at the Technical University of Darmstadt. Klaus Möller has published 15 books and more than 300 articles, amongst others in Management Accounting Research, Journal of Accounting and Organizational Change, Journal of Intellectual Capital, Review of Managerial Science and Management Decision. He has done research projects and had stays at the Universities of Bologna, New York, Singapore, Stanford and others. He is a regular speaker at international conferences and executive education programmes. He actively designs the transfer of his research findings to corporate practice through various committees, mandates and advisory boards, among others as the co-founder of PMC – The Performance Management Company GmbH. Franz Wirnsperger is Managing Director of the Hilti Lab for Integrated Performance Management at the Chair of Controlling / Performance Management of the University St. Gallen and a lecturer in the university’s executive education programme. He also acts as performance management consultant/coach, supports organisations in the transformation of performance management systems, and is a regular speaker at conferences. Previously, he worked for 24 years in the industry in various international assignments and leadership functions. 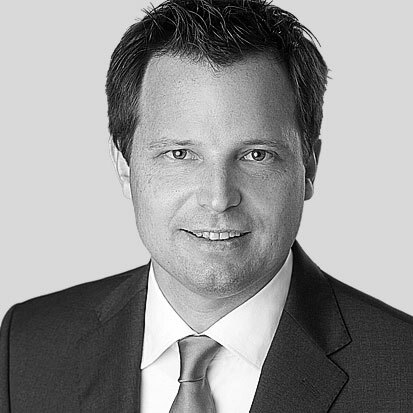 From 2003 to 2013, he was global head of finance / CFO at the Hilti Group in Liechtenstein. Based on his experience with the transformation of the Hilti Group’s performance management system, in 2013, he initiated the foundation of the Hilti Lab, a cooperation between the Hilti Group and the University of St. Gallen, to advance knowledge transfer between practice and science and to foster innovation in corporate performance management. Franz earned a Master’s in Social and Economic Sciences at the Karl Franzens University in Graz and graduated as Doctor of Philosophy in Management at the University St. Gallen (Dr. oec. HSG). In 1990, he became financial controller at Hilti Austria in Vienna. This was followed by positions as Region Controller for Europe (based in Liechtenstein) and regional Chief Financial Officer (CFO) of Hilti Asia (based in Hong Kong) (1994 to 1997), were he was involved in the setting up of the regional office and the geographical expansion of Hilti’s Asia business. From 1997 to 2001, he was Managing Director of Hilti Far East (based in Singapore), followed by CFO of Hilti North America (based in the U.S.) (2002 to 2003) and global head of finance / CFO of the Hilti Group (based in Liechtenstein) (2003 to 2013). The Hilti Group has more than 25,000 employees and is the global market leader in fastening technologies and electrical appliances for construction professionals. 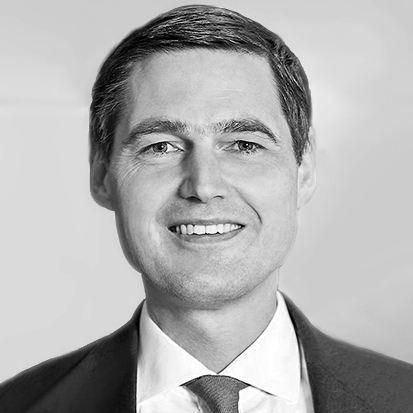 Franz Wirnsperger actively transfer his knowledge into practice among others by serving as president of the supervisory board of the Telecom Liechtenstein AG and partner of PMC – The Performance Management Company Ges.m.b.H. 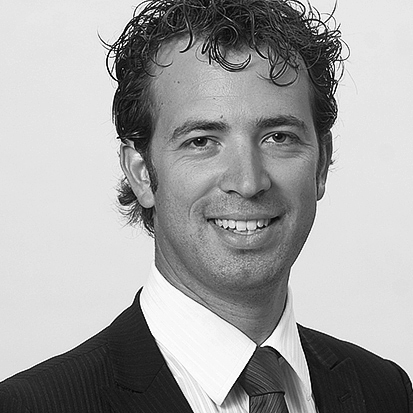 Dr. Tobias Flinspach has been a lecturer and project manager at the University of St. Gallen since 2011. After studying business administration in Nürnberg and Valencia, he worked in a global auditing firm. He then completed his Doctorate with Prof. Dr. Klaus Möller at the University of Göttingen. At the same time, he founded the Performance Management Company (PMC), developing it into an international management consultancy. He has been among others engaged in mandates and training sessions in Argentina, Italy, Mexico and the United Arab Emirates. Dr. Felix Isbruch studied business administration at the Ludwig-Maximilian-University in Munich, obtaining his Doctorate under Prof. Dr. Klaus Möller at the University of Göttingen. He has been a consultant to SMEs and large companies for many years and is a founding partner of the Performance Management Company (PMC). Since 2011, he has been a project manager and lecturer at the University of St. Gallen. He is responsible, among others, for the courses and lectures related to Controlling with SAP and the preparation of the Certified Management Accountant (CMA) exam. With the SPMM - St. Gallen Performance Management Model, we have developed and documented a holistic model for financial leadership and strategy implementation. Performance management, understood as financial leadership and strategy implementation, has increasingly become a key success and differentiation factor for organisations. This is because organisations’ need to swiftly adapt to change has rendered industrial age management approaches such as command-and-control obsolete. A contemporary performance management approach requires the close alignment of financial control systems and leadership principles, as well as the replacement of the monetary-focussed, backward-looking command-and-control logic, based on analysing plan-actual deviations. With the St. Gallen Performance Management Model (SPMM), we have developed and documented a holistic model to provide scientists and practitioners with a concrete solution. This is the result of more than 20 years of research and extensive practical experience that have converged at the Chair of Controlling/Performance Management at the University of St. Gallen and the Hilti Lab for Integrated Performance Management, under the leadership of Prof. Dr. Klaus Möller and Dr. Franz Wirnsperger. With this information, we share our expertise with interested parties. As part of our innovation action research, we have implemented the SPMM in companies of different sizes and industries and have published several articles on the topic. We are continuously improving our approach and look forward to feedback, suggestions, and conversations! Most management approaches were developed during the industrial age. They are based on a traditional understanding of leadership characterised by the command-and-control principle and a strong focus on financial control parameters. performance is now defined more broadly – as a combination of financial success and social impact, with a clear reference to the organisation’s purpose. Traditional control approaches focus on the process and system levels, neglecting behaviour-oriented, employee-oriented and strategic aspects. The SPMM includes all relevant levers to manage organisations by combining financial control and leadership practices in the form of management control packages. Thus, we don’t refer to controlling, but to performance management, which – as a newly established discipline – brings together controlling and leadership, so as to be able to manage performance proactively and directly. The aim is to create a high-performance work environment that balances demands and rewards. The foundation of purposeful performance management is a clear shared understanding of the organisation’s (financial and non-financial) goals. This requires a holistic performance measurement approach based on the input-process-output-outcome-impact model combined with leadership behavior. To emphasise the action orientation, there is a process-oriented performance management cycle at the heart of the SPMM. We distinguish between fundamental system-building processes (1 and 3) and operational system-driving processes (2a, b, c). The inner brackets illustrate the necessary balance of ambition and motivation in leadership. This is achieved by de-coupling target-setting and coordination as well as planning and performance evaluation. The outer bracket illustrates the necessity of incorporating the external context. It includes a clear definition of the organisation’s purpose, values and behavioural standards, as well as a strategy and a business model. the strategic goals are operationalised and broken down into detailed subgoals and key initiatives. It includes the performance creation, strategy execution and, if necessary, the adjustment of resource allocation. It covers performance measurement and evaluation. It is again carried out in longer intervals and at a more strategic level. The SPMM focusses on a contemporary alignment of financial controls and leadership behaviours. Via guided self-control, the agility of the organisation and its employees increase, ensuring transparency and predictability of financial indicators and control instruments. Thus, the SPMM focusses on the organisational level, with strong links to and demands of the individual behavioural level (which we are currently researching and designing in the individual performance management submodel). The SPMM seeks to shape the future role of the financial organisation towards business partnering. It focusses on the how and where in decision-making and strategy implementation rather than on the change in (organisational) structure or the introduction of a completely new instruments set. Organisational design research and practice focusses on innovative approaches (autonomous or network organisations, holacracy, etc.). During research projects and stays in the U.S. and Asia, we intensively examined the implementation of such innovative approaches in leading corporations (including Google and Groupon). These approaches give new and especially fast-growing organisations enormous flexibility via strong reliance on self-control. In our view, this is not an option for most established organisations. Nonetheless, the rigidity and slowness of traditional systems based on external control must be avoided. Thus, the SPMM is positioned between these two extremes, and proposes the notion of guided self-control. In both academic research and practical application, we are concerned with the finance function’s future. In such a future-oriented long-term perspective, the SPMM serves as guidance and target operating model, also concerning organisational design. This includes the division of labour in the performance management function and its interaction with other functions in the universe of CFO, CEO and further support functions. At the organisational level, we expect a convergence of support functions, such as finance, governance/risk/compliance, HR, IT and, eventually, procurement. In this context, the performance management function acts as a key driver in reaching the goals of the organisation as a whole ( = performance). The SPMM does not claim to be the best management system in every situation. In both research and application, it is well known that in small organisations or low-dynamics, rules-based and person-centred management is a very effective way to manage. However, when complexity increases, most organisations adopt classical management systems that follow a traditional command-and-control scheme; in other words, a clear division between instruction and execution. With a further increase in (internal organisational) complexity, and a simultaneous increase in (external market) dynamics, such systems’ inertia increasingly negatively impacts on performance. Organisations usually react to this with various attempts to increase the management system’s flexibility without changing the underlying management paradigm. The SPMM provides an alternative design by integrating insights from behavioural research and theory into the design of control practices. Based on the principle trust equals speed, a trust-based culture is at the centre, which – in combination with specific goal-setting mechanisms and decentralised self-control practices – is much more flexible and agile. The SPMM can have significant effects, especially in situations with high complexity and dynamics, and can significantly increase a company’s management effectiveness. The SPMM’s application is not limited to specific industries or organisational sizes. Our experience shows that its effects are particularly noticeable in medium-sized and large corporations. We have successfully implemented the SPMM in many organisations, including Hilti. These organisations’ effectiveness and efficiency have increased substantially, which has also led to significant increases in financial performance. Firms that use SPMM practices more intensely perform much better in terms of both financial performance as well as employee and customer satisfaction compared to companies with a more traditional management approach. With the SPMM, we theoretically and conceptually contribute to the further development of management systems, applying this knowledge in practice and continuously learn from these implementations. Similar to Prof. Robert Kaplan, who developed the Balanced Scorecard by relying on innovation action research, we are applying this method to continuously improve the SPMM by combining three perspectives. Academic research and further developments are carried out at the Chair of Controlling / Performance Managementand the Hilti Lab for Integrated Performance Management at the University of St. Gallen , via specific research projects (especially dissertations, Master’s theses and seminar papers). By examining specific aspects through the application of rigorous scientific methods, we have established a solid foundation for the SPMM and are generating value for science and practice. This is a key knowledge hub, via our corporate networks Controlling Excellence Network St. Gallen (CENS) and Performance Management Network (PMN) (with partners such as Bayer, Infineon, Swarovski, ZF and several small and medium-sized companies). In our competence networks, seminars and executive round-tables, we convey, deepen and discuss the latest developments with professional experts to receive feedback and calibration from the private sector. The networks also serve as an exchange of experience among executives about best practices mainly through our seminar series in the Performance Management Academy. For focussed and rapid implementation, we are working with the HSG spin-off the Performance Management Company (PMC). Since 2014, PMC has specialised in the implementation of the various aspects of the SPMM, using tailored concepts and instruments. The focus is less on consulting in the sense of pyramidal body leasing, but on an expert-oriented coaching and enabling approach as well as rapid implementation. This close cooperation enables us also to use insights from practical applications to improve the SPMM. This includes clarity about the strategy, business model and key value drivers, as well as the application of specific control practices (relativity and flexibility) in target-setting. Thus, to structure financial targets, we follow the classification of the house of performance. We define flexible and relative targets in a top-down approach that includes the participation of the relevant manager. This is about aligning goal-setting and compensation. The SPMM positions compensation primarily in terms of profit-sharing in the organisation’s success, linking it to the organisation’s performance progress. Research clearly shows that performance management via complex compensation systems is less important than good leadership practices – a core part of the SPMM. Flexible, relative targets in the SPMM replaces the target-setting function of the traditional budgeting approach. Applying bottom-up rolling planning covers the remaining functions – forecasting and coordination. Relative target-setting also requires changes to performance measurement and evaluation practices. Instead of a rigid evaluation based on plan-actual (budget-actual) comparisons, a measurement of actual-actual trends is combined with the dynamic measurement of relative targets against external or internal benchmarks. Ultimately, since these principles and building blocks must fully live in the organisation, the instruments, behaviours and competences must be adequately documented and taught so as to enable sound business partnering and continuous organisational learning. A core organizational practice for implementing the SPMM is clarity about strategy, targets, and results. For financial performance measurement and management, we apply the “house of performance”. It uses the three dimensions Growth, Profitability, and Capital Efficiency, as well as other components like RoCE and Economic Profit. In our education (Performance Management Academy), in target setting and benchmarking approaches as well as in transfer activities we use an IT application, the “HPC – House of Performance Cockpit”. The most current description is the one you are now reading here on the website, which we continuously maintain and update. Individual aspects and previous versions are documented in the following publications. An event’s scope depends on the associated learning objectives, ranging from a two-hour introduction to multiple-day, highly interactive and individualised workshops. For an overview, visit our Performance Management Academy’s website. For organisation-specific events, kindly contact us. The SPMM was developed at the Chair of Controlling / Performance Management and the Hilti Lab for Integrated Performance Management at the University of St. Gallen. As part of the Institute of Accounting, Control and Auditing, our research, teaching, and knowledge transfer focus on performance management and business analytics. These are experts who deal intensively with the SPMM’s functions and application areas. They have in-depth experience in the practical implementation of the SPMM, as well as in teaching and training. They provide key impulses for the continuous improvement of the model.